Q: Mr. Danailov, we understood that the case against a German company that has presumably violated copyright rules has been presented in court. Can you share with us details on the issue? A: Good afternoon, yes, this is true. Before the start of the World Chess Championship we explicitly stated that no company can use the moves without the official site’s staff permission. And this was violated by Chessbase, they put themselves above the law in Europe, above the general FIDE ethical rules. Q: Until now there is no such similar case in chess history. Do you believe it will be successful? A: I believe in European law and in our Attorney who is presenting the case – Mr. Rainer Polzin. What’s more, I am candidate for President of the ECU and as such I have to stand behind the rights of professional chess. Such actions, as the one by the German company Chessbase, affect the sponsors of events negatively, which damages sponsorship, from there future organization and level of events. In the long run the biggest damage is made on the chess fans, who are the most important part of the game – they certainly deserve to enjoy high level events and have chess sponsorship on all levels. Thus, by defending our rights through European law, we will be defending all fans and the future of chess. Q: Our information states that the case entered court on May 27th, that is way after the end of the event. Why was it not presented after the first rounds? A: In such proceedings there are steps to follow. We tried to reach an agreement with Chessbase and offered them to follow the rules all other sites were following – a commercial contract. They refused and started transmitting the games. A warning letter was sent to them after the first games, requesting immediate stop of broadcast. But such action was not taken from their side, so the case is now in court. Everything is very technical and there are many details. In the modern age of communications this process is easy to trace, the amount of work is big though. This was the most watched chess championship online in Internet in the history of all championships. For all this to happen the sponsors paid, but Chessbase can take the moves for free, and resell to their clients ? This is not normal, by law and by human norms. In simple language this is robbery. And for such actions there will be consequences. Q: As we mention the World Chess Championship, the last interview that we had a few days ago reached mainstream media in many countries including India. The manager of Anand, Mrs. Aruna Anand, answered in TOI before we had the chance to talk to her. A: First of all let me clarify one thing: with all my respect Mrs. Anand is not a manager, she is a secretary. Manager is a very serious profession, the manager promotes and popularises chess , looking for sponsorship money and organizing world class events. Basically what she is doing is pick up the phone, send emails, faxes, booking tickets, etc. About her reaction, it looks to me a little bit nervous, but what to do, the truth hurts sometimes. 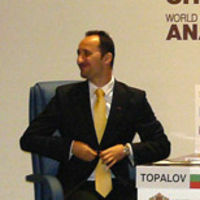 A few days ago Times of India published exclusive interview with Topalov about the World Championship match in Sofia. At the same time Anand’s reply was published by Indian media, Veselin Topalov contacted Chessdom.com sending the full text of the interview, large parts of which have not been published by TOI. 1. How tough was the World Championship match against Anand? Physically the match was not so difficult. 12 games are not so many and there were many rest days. KO format is much tougher in this sense.Mentally of course, the tension was very high,but it is also true that top chess players are used to pressure. 2. What are your afterthoughts on game 12 and your misadventure? Well, I was not happy for a 6-6 tie against the World Champion things are not so bad. Of course, in the rapid games Anand would have been the favorite, but mainly I missed my chances in games 3, 5 and 10, where I was close to the win. 3. According to some reports, it seems Anand was helped by Kasparov, Kramnik and Carlsen for the match. Your comments please. I do not think Anand should be very proud of this. Especially by the fact he accepted help from the first two. I am between the chess elite already for 15 years and perfectly remember how Kasparov treated Anand for years. And not long before World Championship match in Bonn 2008 Anand had to stand the arrogant statements of his opponent in the press. I would never accept help from persons who humiliated me during years even for free. But it seems Anand is different. 4. Does the above-mentioned help indicate that the players respect Anand and want him to do well. Or is this the case of they ganging against you because of unproved Toiletgate allegations thrown at Kramnik? Actually I also received help during the match by grandmasters whose names I will not mention, as I plan to work with them in the future in secret. Clearly, they wanted me to win, so I do not complain about luck of supporters. As for the allegations during the Toiletgate, in fact they were quite founded. Simply the Organizers do not publish the dozens of hours of video-recordings from the match. Even FIDE does not have access to them and my delegation was not allowed to make copies. Only this says enough about the Organizers there. And the behavior of my opponent is similar to of an sportsman who had destroyed his doping test, but claims it is not relevant, because it was negative anyway. 5. Do you fear that during the Challenger tournament remaining seven players could gang-up against you and make your task of winning the event that much difficult? As far as I know, the 8 players will decide the next Challenger in direct matches not a tournament. Also, believe me, nobody from us is friend with all the others. 6. Do you think you have got enough recognition for your stance of not accepting draws and making the game uncompromising and far more entertaining? Yes, I think so. Since the Sofia rules were invented by my manager Silvio Danailov back in 2005 the results are very positive. Sponsors liked them and new tournaments appeared. Media interest to chess has grown and prizes increased. 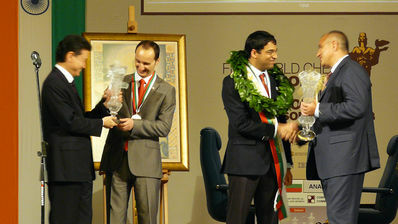 For winning the World Title in 2005 I received 300 000 USD and five years later Anand got 1.2M euro for winning the match in Sofia. This speaks for itself. 7. Do you think Anand is the most complete player because ha has won the World title in all formats: tournament in your absence, KO in 2000 and matchplay against Kramnik and you? Yes, that is something no one can deny. Also, he has been a Rapid World Champion, very strong in a blitz play and one of the best blindfold players in the world. 8. 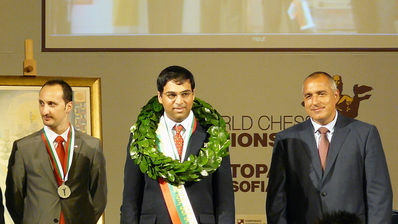 What are your thoughts on Anand who has retained his World title twice? I think the World Champion in chess has a great responsibility. He has to collaborate with FIDE and attract new sponsors to chess. But Anand does not have a professional team behind him and he fails to find sponsorship. India could be a paradise for chess, but the fact he has not played a single tournament game in his own country since 2002 can only mean two things: either Anand does not like to play in India, or his team is not capable to stage a top level event. In both cases this is very bad for the chess as a professional sport. The text above is the full interview that Veselin Topalov has sent to Times of India, without any changes. To the part published in TOI, Aruna and Anand already replied, as reported by Times Now. The full text follows. World Chess Champion Vishwanathan Anand’s camp has hit back at Veselin Topolov for his comments slamming Anand for taking help from Gary Kasparov and Vladimir Kramnik. Speaking exclusively to TIMES NOW, Anand’s wife Aruna Anand on Wednesday (May 26) said that Topalov is trying to intimidate them and that they are not bothered by such allegations. “I don’t know what is in their mind, but why make these allegations and what these allegations are we are really not going to be bothered. I think especially after winning the match in their own country, I don’t think we should be bothered by what they say and why they are saying it,” she added. Earlier, in an exclusive interview to Times of India, Topalov had snubbed Anand saying that he doesn’t think Anand should be very proud of taking help from Kramnik and Kasparov. Topalov said that he doesn’t think Anand should be very proud of this and has remembered how Kasparov treated the Indian for years. The Bulgarian also mentioned that he would never accept help from people who humiliated him for years but said Anand may be different. In the words of Viswanathan Anand, the world title-match and the eventual victory against Bulgarian challenger Veselin Topalov, is the most intense battle of his career. 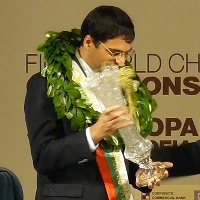 Anand took off on the wrong foot but landed safely with the world title, which he holds since 2007. The 12-game match was a thrilling contest. Anand came back strongly after losing the opening game and then took the lead in the fourth. 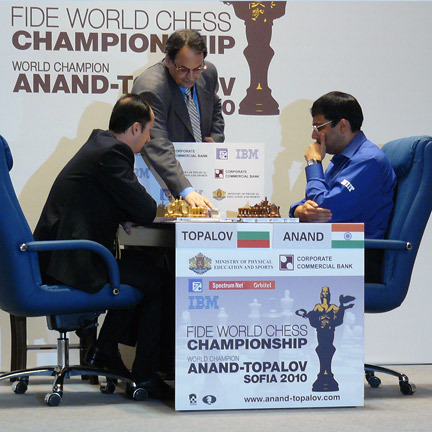 A late error cost Anand the eighth game and Topalov levelled the match-score. After some long and tense moments, Anand finally landed the knockout punch in the final game for a 6.5-5.5 triumph. The following morning, at Sofia, Anand took time off to speak to Sportstar. Rakesh Rao: How did you deal with the loss in the opening game? Anand: It was one of those ridiculous moments that you are not supposed to have but it happens. The only thing I told myself was if it had to happen, it is best to happen in the first round. You still have time to recover. I knew it would be a long match. I was not worried at that point. But it was the worst possible start to the match. Rakesh Rao: Pleasantly, the finish was a dream one – winning the decisive 12th game with black pieces! Anand: It was nice to clinch it with a win and that too, with black. You know, in the last eight decisive games that we played, Topalov won four times with white, and I won three. So after many years in the matches between us, this was the first victory for black. It felt nice. Rakesh Rao: How will you reflect on your victories in game two and game four? Anand: In game two, Topalov was doing fine out of the opening but made a mistake. I pounced and made some very accurate moves. I mean, technically, it is still difficult but I managed to wrap it up in some six or seven moves from this point. I thought it was efficient. Game two was important because it helped me to equalise. Game four was nice. It was just a beautiful game… some lovely tactics there. Rakesh Rao: Since the result in a chess match depends a lot on the opening preparations and the strategies of the players, how satisfied were you with the way things turned out? Anand: In one sense, I think, I misjudged him. He made certain changes during the match. One of the things we assumed was, he always likes moving around in matches. This means, he’ll play an opening for a couple of games and then move on to the next one. His match strategy in the past was never to stand his ground. Kind of hit-and-run strategy. So, whether consciously or sub-consciously, we had made this assumption the basis of our preparation. But he stood his ground. He did not switch his openings. We started having problem in the second half because we were thin in the areas he had concentrated on. And we ourselves were doing the hitting and running. So there was some coping there. In terms of the opening preparation, we made some bad calls. The team did some excellent work but in a match, it is not about excellent work but making the right judgement call. If you prepare something and it does not get played, it is not much use. So in that sense, he did surprise me. Rakesh Rao: So, for you which was the most difficult phase of the match? Anand: The second half was difficult for me, from game 7 to 10. He started taking initiative during this phase. In game eight, he did press me, he had a good idea and all, but having escaped, and then to blunder and lose was bad. And in game 10, when I was losing, I thought after the last three games, if I were to lose and fall behind, it will be very difficult (to bounce back). Once I had saved games 10 and 11 by hanging in there, I was okay. Rakesh Rao: Did you imagine the final game to go the way it went? Anand: I think Topalov took a big gamble. Now it seems obvious to me that this gamble was wrong. I realised he missed my queen move but still, when my bishop is on the big diagonal like that, and to allow me to open it, he took the decision very late. Later, he did say he missed my queen-move and if he did, then I don’t think it was such an unreasonable gamble. Towards the later part, the position became incredibly complex, though. Rakesh Rao: How do you compare the titles in 2007 and 2008 with the latest one? Anand: The match against (Vladimir) Kramnik went so well (in 2008). Vlady was a bit unlucky that match started so badly. As though he was hit by a perfect storm. Everything that could possibly go wrong did. A three-point advantage and from there on something had to go horribly wrong for you to lose it. Against Topalov, it was like waking up each morning with a sword hanging over your head. For me, that was an unusual experience because against (Garry) Kasparov (in the 1995 World title match) I had the opposite problem. I was hit by a perfect storm for a week and there was a three-point deficit. In Mexico (in 2007), I took a strong lead in the beginning and basically, I had to maintain it. You knew everything is in your hands. Here (in Sofia), at least I knew, if I had drawn (after 12 games), I had the tiebreaker. Rakesh Rao: Many experts believed that your best chance of winning was to ‘do a Kramnik’ on Topalov. How correct was this assessment? Anand: We did copy a bit of Kramnik’s openings. He did a good job against Topalov. Topalov’s score against the Catalan (opening) isn’t that great. 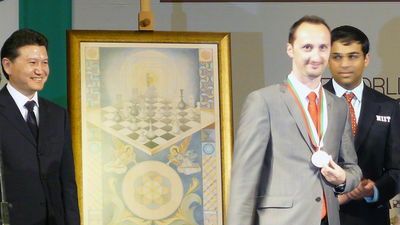 We had other openings but because of Topalov’s preparations, the world did not get to see this. My preparation was heavily based on Kramnik, but not entirely. Rakesh Rao: Several commentators spoke of your ploy to exchange the queens early, particularly when playing black, in order to minimise Topalov’s tactical option. Was it really part of your ploy? Anand: Well, the point is that you have to think in terms of opening complexities. I always find it quite simplistic that everybody said I was so defensive. I was not playing defensive at all. In the opening complexities, white has several moves and black has several responses. And we had fantastically sharp lines, as well. We thought this blocks white and he probably has to move on. But it was more of an assumption that it would block and he would move on. It did neither. It did not block him completely and we had a problem. And he did not move on. He stayed there and kept pounding. So we did not get to see the lines where I did not exchange queens. My strategy was not so limited, as simplistic that I was going to exchange the queens. We had a bad call. We simply misjudged his approach. Rakesh Rao: Since Topalov had announced that he would neither offer nor accept draws and communicate only through the chief arbiter, were you prepared for long battles? Anand: I always knew playing every game till the end would show the strain on both players. Indeed, there was a question of hanging in there. I was prepared. 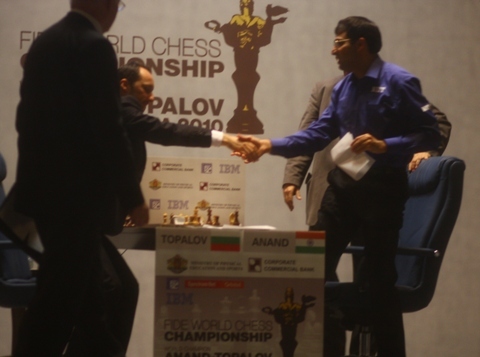 Rakesh Rao: Finally, was it intimidating for you and your team to play in Topalov’s backyard? Anand: Since we (the players) stayed in different hotel, we had this feeling of returning to our den or zone everyday. In that sense, it was fine. The audience was very fair. Obviously the audience wanted Topalov to win but they never made me feel bad. In a new interview for Russian media and Chesspro.ru, Arkady Dvorkovich provides more details on the RCF situation. Dvorkovich says he will never work with Karpov who has an unethical behaviour, that Alexander Bakh can no longer work for the Russian Federation and that he should resign, and that he has the support of Vladimir Kramnik as well. The press release by RCF brought out in some blogs is also a fraud. Mr. Dvorkovich, I returned from Sofia Friday evening, from Anand-Topalov match and got mixed up in an avalanche of contradictory information. Some press-releases from the Russian CF.. They claim that there was a meeting of the Supervisory Board of the RCF in the Central Chess Club in Gogolevsky boulevard, which officially nominated A. Karpov as a candidate for the FIDE President from the RCF. From other sources I learn that you in your capacity as Chairman of the Supervisory Board of the RCF, are saying that there has been no such a meeting. Please tell our readers, what is going on in the RCF. - – A considerable restructuring has been taking place in the RCF during several months. It started with a letter of resignation of Mr. A. Zhukov and myself from the positions of the President and Vice-President. After that new Statutes of the Federation were prepared and approved at the Congress. The new Statutes stipulate considerable changes in the management of the Federation. This has not been registered yet. Accordingly, new governing bodies have not been operating in full swing. We thought to finalise the registration of the Statutes by the previous week, to enable the Federation start working fully. This did not happen, because of two reasons, in my opinion. First – the people who are carrying out immediate management, did not like the planned changes. With such, these people lose their ultimate control over finances, and over day-by-day management. They had to agree to the common principles of corporate management, which exist in the world. So, these people in fact were staging sabotage of the activities in this direction, in all ways contradicting these changes. This is the first reason. Second reason – contradictions on the RCF candidate for the forthcoming FIDE Presidential elections. In fact we have a situation with irreconcilable contradictions in respect of the candidate. The Chairman of the RCF Board, elected at the Congress, was continuing to support a potential candidate, despite the opinion of the leadership of the Supervisory Board of the RCF. I mean myself and at least two of my Deputies – A. Zhukov and I. Kogan. On Friday, 14th May, I called for a meeting of the Supervisory Board – in all accordance with the statutes. According to the Statutes, the Supervisory Board is called and chaired by the Chairman of the Supervisory Board. There are no other variations of holding and organising the Supervisory Board. On the announced address, at the said time eight members of the Supervisory Board have arrived. At the same time the Chairman of the Federation’s Board A. Bakh by misinforming a number of the Supervisory Board members, has gathered 17 or 18 members of the supervisory Board in the Central Chess Club in Gogolevsky blvd, where two great Champions G. Kasparov and A. Karpov. So they tried to have the meeting of the Supervisory Board there. I would like to underline that due to the statutory provisions either of the meetings cannot be considered as the supervisory Board meeting. It did not take place. In one case – there was a quorum, in the other case – there was no Chairman of the Supervisory Board, who according to the Statutes, has an exclusive right to hold the meeting. Therefore, any information, declarations regarding the decisions taken by the Supervisory Board and the Russian Chess Federation as a whole, is false, fraudulent and out of reality. I expect that the persons who in fact violated the acting norms, first of all – internal norms of the Federation – shall incur responsibility. I also expect that they shall resign. Moreover, if the Supervisory Board had taken place on Friday, if there had been a quorum and all the persons who must be present, had been present, then – due to the fact that the Statutes have not been registered (it is not registered also because of the Chairman of the Federation ‘s procrastination), the decisions in respect of relations with third parties – including the nomination of the candidate for the FIDE Presidential position – could not have been taken. Therefore on Friday such a decision could not have been taken in any case, even, if the meeting did take place, I repeat. Also according to the evaluation of the lawyers, the key document (budget) for the Federation’s activities cannot be approved. In fact the activity of the Federation due to the sabotage from the former Executive Direction of the Federation, now Board of the Federation – turned out to be blocked. - How shall the events be developing ? - Further I shall undertake all necessary steps in order to register the Statutes of the Russian Chess Federation, approved at the Congress. This shall enable the Supervisory Board meet to undertake all legitimate decisions. I think this can happen in the next few days. At least not later than 5th June. In this case if all goes well, we shall be able to decide on all issues, necessary for normal work of the RCF. At the same time, I think that the further work of the current management of the Board in the person of A. Bakh is not possible. I do not trust him as head of the RCF. I think that he should resign. In order to elect a new Board, another Congress is necessary. I am ready for this, in case it is necessary. The Congress can be called on either by a decision of the Supervisory Board, or Verification Commission, or as far as I remember, on a demand of half of the leaders of regional chess Federations. This will find a solution to an existing conflict and guarantee normal work of the Federation. 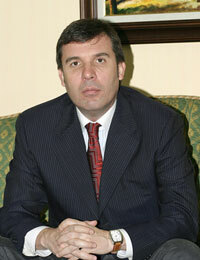 - Who shall be the RCF Candidate for the position of the FIDE President? - According to the preliminary conclusion of the lawyers, the nomination of K. Ilyumzhinov by a letter, the way I did it, was possible. Now we are checking it for any legal basis for other actions. If the Supervisory Board takes another decision, then this decision shall also be legitimate. From my point of view (I hope, the Supervisory Board shall support me), in case if any other candidate, including A. Karpov, could provide the nomination of his candidacy from any other Federation, then the RCF should not use the “veto right” stipulated by the FIDE Statutes and block this candidacy. So at least two candidates could run. According to the FIDE Statutes, the same Federation cannot nominate two candidates. - … This is fraud, this is deliberate lie. - Does Mr. A. Zhukov, the Vice-Premier, a candidate for the Russian NOC President support you? - I have had several consultations with A. Zhukov before the Friday meeting which did not take place. Mr. A. Bakh was also present at these consultations, who there promised to undertake all necessary actions, so that the Supervisory Board took place. But on Friday he deceived us. Mr. Zhukov supports the letter sent to FIDE on the nomination of K. Ilyumzhinov, and he also, as myself, thinks that we should not prevent Mr. Karpov’s running as a candidate. Their competition with K. Ilyumzhinov is a positive fact. Our main concern and we are united with Mr. Zhukov on this – is to prevent schism in the RCF. We need consultations with the Supervisory Board members to reach consent on the way to move forward. But without prejudice to the fact that me personally or my colleages, hopefully shall not be against the candidacy of Mr. Karpov and his running for the position of the FIDE President from any other chess Federation, I personally consider his behaviour non-ethical and unscrupulous. And I shall not be working with him under any circumstances. - When I attended a briefing with you, you said that in the World Championship match you shall be for Anand. This was a fantastic match in its pressure and interest, its fate was decided in the last game. Were you following the game? Watching the games? -I used all chances to learn how the matches are going. Although in the match in Elista Topalov-Kramnik the pressure and interest were not less, but there there had been some events out of chess, and here everything was decided over the board, and the pressure over the board was really unlimited! I am very glad that Anand Viswanathan retained his world champion title, and I am expecting in the future the competition between him and the Russian representative. I shall be for Kramnik in candidates matches, to go to final and to play a match in Vishy. By the way my discussion with Vladimir showed that he is fully supporting my position in the existing conflict. Was there a possibility to have the meeting of the Board in one place? In accordance with the Federation’s statutes, the Chairman of the Supervisory Board collects its members and organizes a meeting in one place. We informed the Chairman of the Executive Board of the Federation A. Bakh where the meeting should be taking place. Unfortunately, the information was not delivered to all Board members by him. My assistants in the same day were on the phone with the members of the Supervisory Board a few hours before the start of the meeting. Unfortunately, the position of the Chairman of the Supervisory Board on the issue of the FIDE Presidential candidate led to the fact that it was impossible to organize the meeting. I am sure that there is a chance for consolidation, but it needs caring for chess and not following personal interests. Can we speak about a split in the leadership in the Russian chess under the circumstances? First, the colleagues do have contradictions on a number of issues. Second, they have dual information, which is explained by non-fulfillment of my decisions. This situation is for the first and last time. We shall reach consolidation, otherwise the Federation will not be able to perform its functions, thus damaging chess development. We should forget our hurt feelings, we want to work constructively. Are you ready to respond to the reasoning of A. Karpov in respect of the today’s state of chess in Russia and the world? Yes, I am. In the last years, we have done the minimum of what is necessary, and chess is not now in order. There will be serious changes in politics, and the decision on the candidacy of K. Ilyumzhinov was taken based on the discussions with him and his team of necessary changes. And he is ready for them. There is a draft programme which shall be announced in the nearest future and will find support in chess society. The system of administration, including on a personal level, needs changes. Professional chess does not have enough sponsors, but our work during the last month showed what can be changed under the conditions mentioned by me. Karpov also accused RCF that it does not pay attention that his candidacy is supported by large national federations. – Everything will be decided at the GA of FIDE in September in Khanty-Mansiysk and we shall know who voted for who. I am ready to believe that many Federations will support Anatoly for his authority in the world. But Kirsan is a more authoritative figure in the chess world, if you take all FIDE membership as a whole. It is not acceptable for any chess functionary to say that any specific country is more important than the other. All countries should be equal for him. Will it be strange for you if Karpov shall run from another country? Yes, it will be strange for me. I personally shall not be against, and shall call on my colleagues not to object, if Mr. Karpov shall run from another Federation. This is my opinion. Although according to the FIDE Statutes, a Federation can do it. And this case there will be minimum 2 candidates. Besides them, we do not see anybody else so far. My position is to have several candidates not one.. There is not much time for the solution of the Russian CF situation and consolidation of its members, as the deadline for the FIDE Presidential candidates is 20 June. Dvorkovich said that “in the next couple of days we think we shall register the Federation’s statutes, which shall make our meetings legitimate. After that the Supervisory Board shall meet. We look forward to the understanding of our colleagues, that they will put common interests higher than their personal hurt feelings. We calculate that the Statutes can be registered by the end of next week. I think we will need two more weeks to organize another meeting. As we publish the materials of the Agenda of the Board to media, they will demand the discussions in these two weeks. I.e. we we will be on time with our decisions. The official candidate has been named – it is Kirsan, although colleagues think it is not legitimate. Arkady Dvorkovich is a Russian economist, Assistant to the President of the Russian Federation since 13 May 2008. His father, Vladimir Dvorkovich, was an international chess arbiter. Since 1994 Dvorkovich is consultant, senior expert, CEO, scientific director of the Economic Expert Group of the Ministry of Finance of Russia. Since 2000 works in the “Center for Strategic Research” and is adviser to the Minister for Economic Development of the Russian Federation. In 2001 he becomes Deputy Minister for Economic Development of the Russian Federation and in 2004 he is appointed Head of Expert Group of President of the Russian Federation. 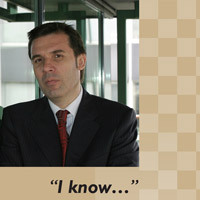 Since May 13, 2008, Dvorkovich is Assistant to the President of the Russian Federation. Savvy international investors know that in the past two years the government of Vladimir V. Putin has been pushing a sweeping package of measures that aims to kick-start Russia’s economy — by cutting taxes, slashing bureaucracy, and injecting competition into moribund industries. And they know about Russia’s new 13% flat tax, which has proved surprisingly effective in raising revenue for the government. But investors may not know the man most responsible for Russia’s fiscal overhaul. That honor goes to Arkady V. Dvorkovich, 31, a deputy minister in Russia’s Ministry for Economic Development & Trade (known as the economy ministry). An economist with a master’s degree from Duke University as well as Moscow’s New Economic School, Dvorkovich earned his stripes by serving as personal adviser to German O. Gref, the Economy Minister, in 2000-01, helping him to craft President Putin’s reform program. An expert in public finance, he still oversees tax issues as deputy minister under Gref. In that role, Dvorkovich wants to trim payroll taxes to 30% from the current 35.6%, abolish the 5% sales tax, and slash the value-added tax to 16% from 20%. But his brief extends well beyond taxes. Fluent in English, Dvorkovich has become one of Russia’s most prominent international voices on economic policy. Thanks in large part to his influence, the economy ministry has replaced the finance ministry as the driver of economic reform. Dvorkovich is sure to play a big role as Russia tackles the next batch of reforms, including overhauls of the banking and pension systems. “He’s one of the best young technocrats in Russia,” says Roland Nash, head of research at Moscow investment bank Renaissance Capital. Dvorkovich has been serving the Russian government since 1994, when he landed a job at Moscow’s Economic Expert Group, a think tank that advises the finance ministry. There, he so impressed Russia’s economic policymaking Establishment that he was promoted to director in 1997. Of course, the Moscow native could have made a lot more money in investment banking — and friends predict he’ll eventually join the private sector. But for now, he’s having too much fun in government. He recently slammed his superiors in the Cabinet for watering down a plan to cut the bureaucracy. President Putin then echoed the same criticisms in a state-of-the-nation address. Dvorkovich’s reformist ideas are clearly getting through to the Kremlin. Arkady Dvorkovich, the chief economic advisor to Russian President Dmitry Medvedev, spoke Wednesday at Arrillaga Alumni Center about the need for economic modernization in the Russian Federation in the post-Cold War era. Until the global financial crisis hit, “we were sleeping too much on our natural resources, oil and gas, without thinking too much about the future,” Dvorkovich said. 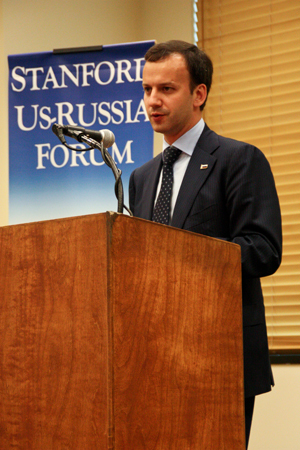 The address served as the keynote speech for the first annual conference of the Stanford U.S.-Russia Forum (SURF), an event aimed at improving U.S.-Russia relations by focusing on youth. “SURF is an initiative to bring together students from across the U.S. and Russia to explore the most pressing global challenges facing our respective countries,” said co-founder Sam Stone ’10. Dvorkovich, who got a master’s degree at Duke University, now designs policies intended to instigate innovation and modernization in the Russian economy. He said the government has been successful in fostering a new mood in Russia that is conducive to innovation. “What we are trying to do now is to gather as many partners as possible in our endeavors,” he added. He highlighted efforts at creating innovation in the energy sector as a crucial aspect of his work. Oil and gas companies, including Gazprom, and steel-making corporations serve as some of the hotspots for collaboration in these endeavors. “Russia is not the Soviet Union,” Dvorkovich proclaimed in an effort to debunk claims that Russia is reverting to authoritarian leadership. “The president is focusing on feedback consistently coming from the people. He has his own blog and looks for feedback on the Internet everyday,” he said. Though he did not dwell on the criticisms against the Russian government, he did highlight his belief that Russia is staying away from an authoritarian leadership. Discussing the corruption that often plagues public works funding, he said former President Vladimir Putin’s early efforts at minimizing the role of bureaucracy to combat corruption largely failed, and hopes that this new set of priorities will serve to further eradicate corruption. “I was impressed with how candid he was with respect to the problems Russia is facing, particularly corruption,” said Mikael Bernstein ’12, who works as a deputy director for SURF. Dvorkovich said the increase in educational exchanges between the United States and Russia serves as a crucial factor in improving the two countries’ relationship. He is working with Stanford and M.I.T. to organize educational exchanges for post-doctoral students to further cultural dialogue. “The future depends on young people, which is why education and this SURF project in particular is crucial,” he said. of the amateur chess world? continue with this positive trait that players seek and deserve. found that they complimented each other nicely. Chessdom: When is the next event for titles and norms that you will organize? (PHI), IM Arjun Vishnuvardhan (IND), FM Gauri Shankar (IND), Jon L.
Ravichandran (IND). Let’s see what happens in this installment! in chess. What are your predictions for the next several years? to achieve FIDE ratings and FIDE titles. have any predictions on the outcome? match, then this would be a very positive example for future events. Chessdom: What are the possibilities that a WCC will be organized in the US? predictions and which camp are you favoring? favoring, ask me again in the middle of June. On the last day of April, Morten Sand, the international advisor for the bid organizing committee, submitted an application to host the 41st Chess Olympiad on behalf of the northern Norwegian city of Tromsø. This act marked over three years of preparation by the group, which has combined chess and Olympic Winter Games organizers with experts from Norwegian business in an effort to bring the event to the city. During this time Tromsø has gathered experience and goodwill through their Arctic Chess Challenge, and gathered political backing thanks to the national pride generated by the stunning results of teenager Magnus Carlsen. Norway’s bid has already secured the financial support of the country’s government, which also hopes that staging the event will spotlight the far north that they claim is a priority region for the future. 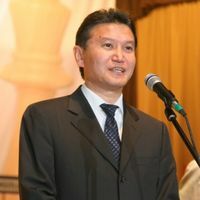 Sand, a former FIDE Vice President and legal advisor to FIDE, talked about the methodical campaign to try to land this prestigious event in northern Norway. The Arctic Chess Challenge certainly seems to have charmed those who have made the trip to play there, but can a city like Tromsø really stage an event of Olympic scope? While the Norwegian application process has clearly been thorough and patient, the organizing team still faces a tough struggle to land the event, with a demanding political and diplomatic fight still ahead to secure enough support from FIDE nation members. Arguably, navigating FIDE politics may be the hardest part of the process, with this congress being a presidential election year as well? Finally – coming this far is a real accomplishment for the Tromsø organization, but what kind of chance do you think the bid has for ultimate success? 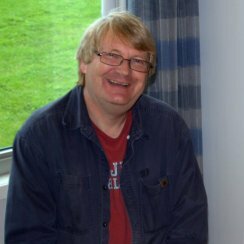 Interview by Jonathan Tisdall, for the Norwegian Chess Federation/Norsk Sjakkblad.